It’s quite possible that we have now crossed the franchise event horizon. All properties that are capable of being turned into a "cinematic universe" will now see it done. We know that this has happened because the Warner Animation Group, a division of Warner Bros, announced at Cinemacon this week that they were interested in "unlocking the whole Hanna-Barbera Universe" beginning with a new Scooby-Doo movie slated for 2018. So, who will join Scooby-Doo in the Hanna-Barbera universe? Hanna Barbera’s list of cartoons is absolutely massive. It honestly probably rivals Marvel when it comes to simply the sheer volume of characters that they have created over the years. But, if we’re going to do this, let’s do it right. Here are 10 other Hanna-Barbera characters that we want to see in future movies. Who did we forget? 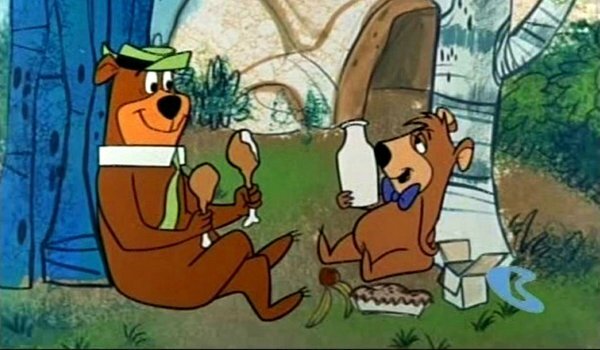 The Yogi Bear movie needs to happen for a couple of reasons. First, he’s right up there with Scooby-Doo as far as being one of the most iconic characters that Hanna-Barbera ever created. Second, something has got to be done in order to scrub the terrible 2010 movie out of our brains before it eats us alive. Maybe the Scooby-Doo gang has to solve a mystery of a brutal murder inside Jellystone Park. This is Warner Bros., after all, so we fully expect this to be the "dark and gritty" Hanna-Barbera universe. 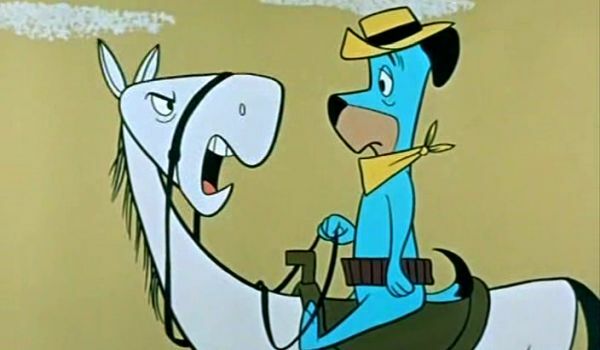 We see Huckleberry Hound as something like the Ant-Man of the HBU. He’s the guy who didn’t ask to be here, he just found himself in the middle of a situation that he had no real control over. That was often the setup of the original Huckleberry Hound cartoons, so it works out nicely for making him part of the greater universe. He’ll also be the comic relief character amongst a collection of heroes who are generally much more serious. Unfortunately, he’ll also be the Black Widow of the group, because he probably won’t ever get his own movie. You can’t have a shared universe of Hanna-Barbera without the first family of cartoons. 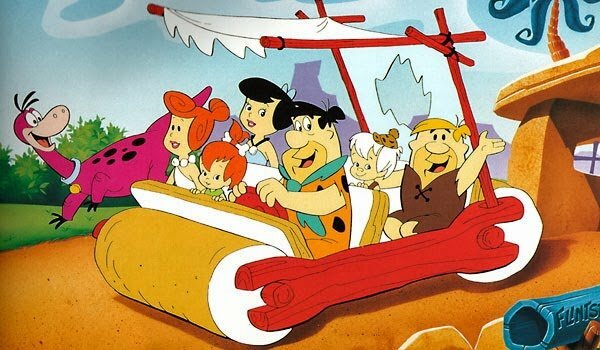 We’re not quite sure how you would incorporate The Flintstones into shared continuity, unless you introduce time travel, but one way or another it needs to happen. We’re glad the plan is for all these movies to remain animated, as the live-action Flintstones movie is still the sort of thing that nightmares are made of. Maybe, this can be set up as a prequel that will get plot points in motion for other movies in the franchise. If you’re going to do a Flintstones movie, you really can’t justify not giving The Jetsons the same consideration. Again, this is Warner Bros., so be ready for a post-apocalyptic, Blade Runner-esqe dystopian future when The Jetsons movie hits screens in about 2021 or so. 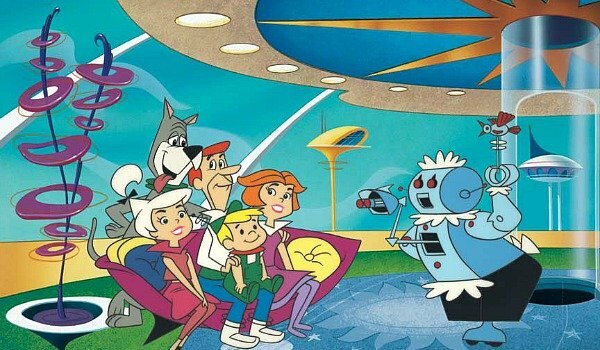 Actually, with talking dogs and robot servants, The Jetsons already sounds like a fairly standard terrifying futurescape. We see The Jetsons as the Guardians of the Galaxy crossed with The Incredibles, a space-age superfamily. Don’t laugh, it will happen. Lucasfilm has a problem, because you know they want to keep Indiana Jones going forever, but Harrison Ford just refuses to get younger. 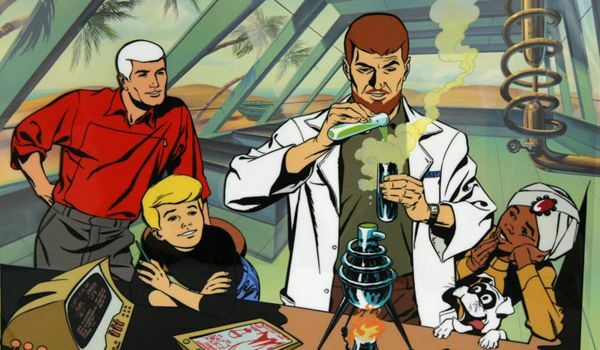 Warner Bros. is in the perfect position to swoop in and take over that part of the action-adventure market with a Jonny Quest series of films. The character is essentially a very young Indiana Jones, as he goes on adventures all over the world. This movie writes itself. Create a mystical Macguffin, hide it someplace, send the Jonny Quest team in search of it. Even if the larger universe idea doesn’t work out, there’s some real potential here. We know because it’s been considered before. Jumping back to the future timeline of the HBU (which is what we're going to call it now), if you want a strong science-fiction blockbuster that’s not as much of a stretch as The Jetsons would be, then there’s the slam dunk of creating a Space Ghost movie. 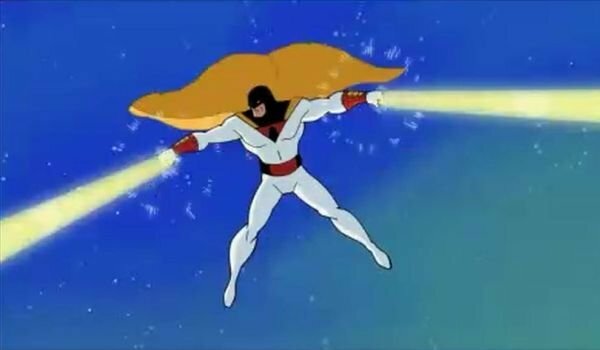 More recent audiences might know the character from his Adult Swim talk show Space Ghost Coast-to-Coast which gave the super serious character a sense of humor. We think you could combine the two concepts and make him the snarky Iron Man-like member of the Hanna-Barbera Universe. You know what all of these planned cinematic universe movies are missing? A good martial arts movie. 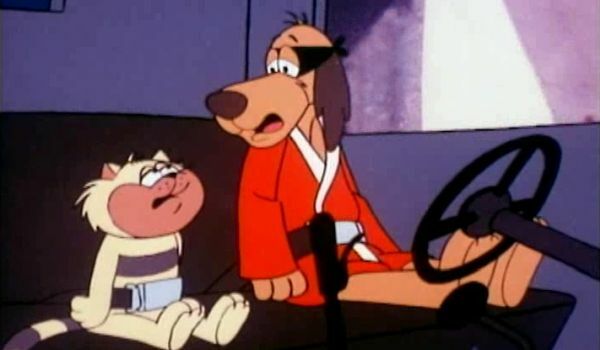 While Hong Kong Phooey would require a bit of modern retooling in order to avoid making the character utterly offensive, it’s still a fun character who could make for an entertaining story and some great action set pieces. It’s got to be better than more Teenage Mutant Ninja Turtles movies, right? As part of the shared universe, you introduce Penrod "Penry" Pooch the janitor early in another movie before having Hong Kong Phooey come to the rescue at the end. Yes, somehow we just turned the number one super guy into Wonder Woman. We’re not sure how that happened. Quick Draw McGraw was the old west sheriff character created by Hanna-Barbera. Like with Hong Kong Phooey, this would give the HBU a new genre in which to play. While westerns have never died out entirely, they don’t have nearly the popularity that they once did. 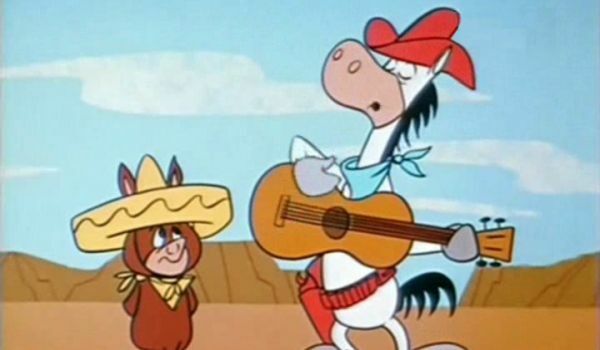 Also, like Hong Kong Phooey, this cartoon would need some work, as Quick Draw’s regular sidekick, Baba Looey was a Hispanic burro character that probably wouldn’t fly today. Although, if Speedy Gonzales can have his own movie, maybe there’s nothing wrong with it. We have a solid Hanna-Barbera action movie set in pretty much every conceivable time period, except the stone age. 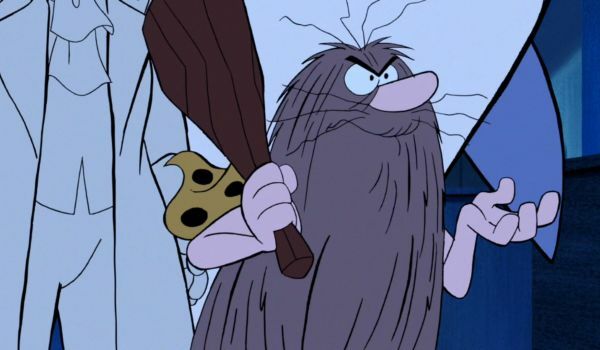 We figure that Captain Caveman can be introduced as part of the planned Flintstones movie, and then get spun off into his own film. Is Captain Caveman silly? Of course he is, but that’s why he’s great. It’s clear that what the world needs is a prehistoric action comedy starring a flying caveman. We all know it to be true. It’s just a matter of making it happen. Finally, after all of the characters in the Hanna-Barbera Universe have been introduced and established, they’ll need to have their own Avengers-style team up movie. 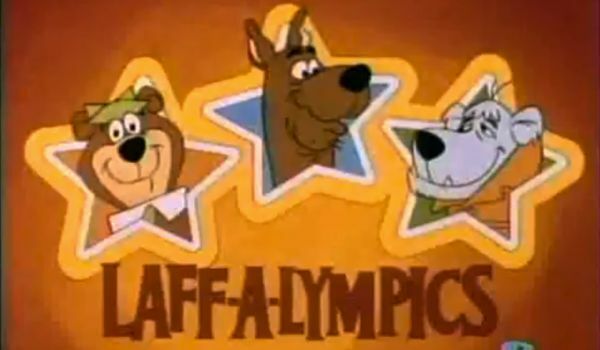 For Hanna-Barbera, the only place to do that is at the Laff-A-Lympics. It was the original crossover event of the 1970’s when all of the characters from the various Hanna-Barbera cartoons competed against each other in Olympic-style sporting events. We can’t even guess how you would build to something like this over a series of movies, but does it really matter? By the time you get here it’s just about showing off that you made it.